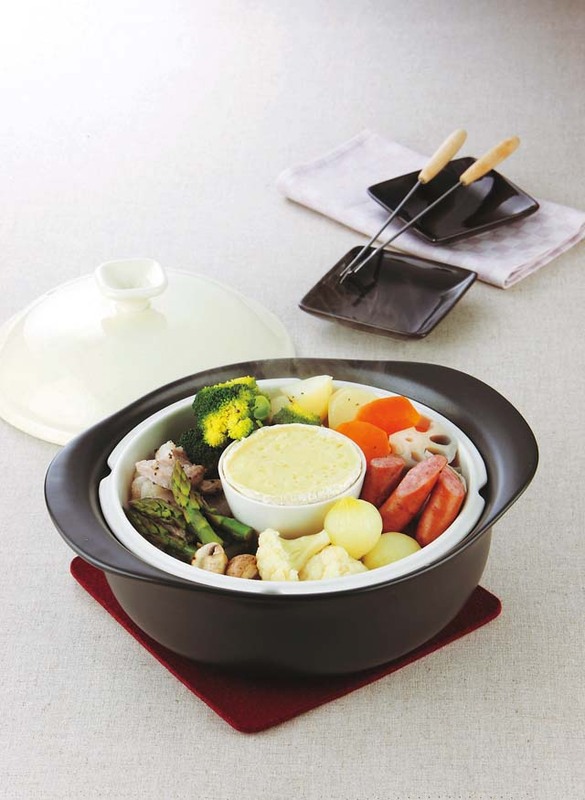 This is steam pot with a lid and a drainboard. 100V and 200V electromagnetic. OK for microwave, oven and direct heat usages. Good item for a wedding gift.